Mid-Term Exam Schedule (Only for Undergraduate Students)1. Period :April 20 (Mon. ), 2015∼ April 24 (Fri.), 20152. Time ScheduleA. General Required, Basic Required: Refer to below Schedule B. Major Course: Depends on Course Schedule3. Lecture during Mid-term Exam PeriodA. No lecture for freshmen courses and basic required coursesB. Major Courses (Undergraduate, Graduate) : Regular ScheduleC. Please contact with your instructor if you have a time conflict between following schedule and major courses' exam.4. Mid-Term Exam ScheduleDateCourse No.CourseSec.TimeBldg./RoomApril 20(Mon.)MATH110Cal.. Extended Opening Hours of Library Reading Room During Midterm Peri..
Extended Opening Hours of Library Reading Room During Midterm Period The opening hours of the library reading room will be extended during the midterm exam period. 1. Midterm Period : Monday, April 20 ~ Friday, April 24 2. Extension Period : Monday, April 6 ~ Friday, April 243. Extended Opening Hours Floor Regular Extended 2nd 08:00 a.m.~10:00 p.m. 08:00~02:00 a.m. 3rd ~4th 08:00 a.m.~12:00 a.m. 08:00~02:00 a.m. 5~6th 24 hours 24 hours Rm #502, 506 - 24 hours (Closed During Lecture Hours) 4. As the emergency stairca..
Spring 2015 Tuition Payment for New Graduate Students Please refer to the following information for instruction on tuition payment for new graduate students. ■ Payment Options : Students may choose to pay in lump sum or in installments. Payment Options General Graduate Programs & TIM (Ph.D.) TIM (MS) Lump Sum 4,328,000 5,500,000 Installments [866,000 x 4 (Mar ~ June) + 864,000 x 1 (July)] Installments 1,100,000 x 5 Installments ■ Details on Lump Sum Payment A. Payment Period : Mon, Mar 23 - Thu, Mar 26, 2015 ※ Students approved for the governme..
Open Access Publishing Vouchers Available for RSC Journals POSTECH scholars can publish open access articles at no cost in Royal Society of Chemistry (RSC) journals during RSC’s 2015 Gold for Gold program. 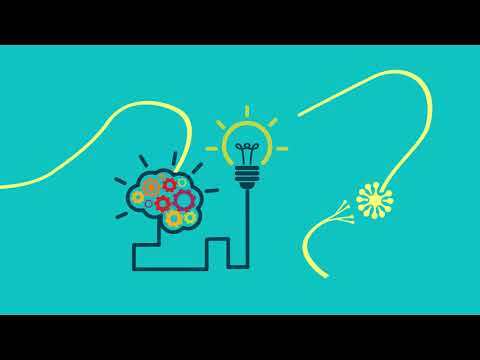 RSC launched this program to help researchers who want to publish their articles open access (OA), but lack funds to pay the OA article processing charge (APC). The Gold for Gold initiative provides all RSC Gold subscribers with voucher codes to make papers available via OA, free of charge. The POSTECH Library subscribes to RSC’s Gold package.The POSTECH Library has a set number.. Responsible Drinking Culture Campaign As a new semester starts, the chance of drinking has increased, which sometimes may cause accidents by excessive drinking because of many membership trainings for new students. Therefore, POSTECH Health Service Center would like to invite experts and conduct a campaign not only to prevent excessive-drinking-related accidents but also to promote a responsible drinking culture. Your attendance is always welcome. 1. Purpose : To establish a healthier drinking culture by raising the awareness of the physical, mental, economic and social problems associated.. FACULTY POSITION The Department of Computer Science and Engineering (http://cse.postech.ac.kr) at Pohang University of Science and Technology (POSTECH) is seeking an outstanding scholar for a tenure-track Assistant Professor level faculty position (senior candidates with strong credentials will also be considered) expected to start in August 2015. 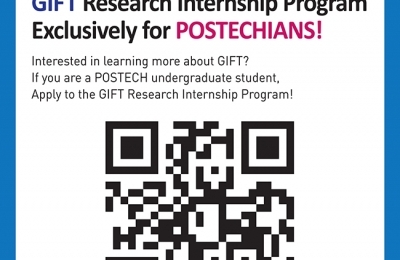 POSTECH was founded in 1986 by the steel company POSCO as Korea’s first research-oriented university. POSTECH is known for its unique contributions to the advancement of science and technology in Korea. POSTECH offers excellent benefit package..
2015 Matriculation Ceremony Schedule All POSTECH members are cordially invited to the Matriculation Ceremony for the 2015 academic year on Friday, February 27, 2015 as follows. 1. Schedule of Events : Friday, February 27, 2015 Event Time Venue Attendee Remarks Matriculation Ceremony 11:00 - 11:50 AM Auditorium - Guests , President, Executives of POSTECH Foundation and POSTECH, department heads - Freshmen, parents, faculty, staff and students 1,000 people Luncheon 12:00 - 1:00 PM POSCO International Center(5th floor, Phoenix) ..
Information on Credit Transfers (for New Graduate Students who ear..
Information on Credit Transfers (for New Graduate Students who earned their previous degrees at POSTECH) Students who are starting their graduate studies at POSTECH this semester and have earned their previous degrees at POSTECH (ex : new MS or MS/Ph.D. 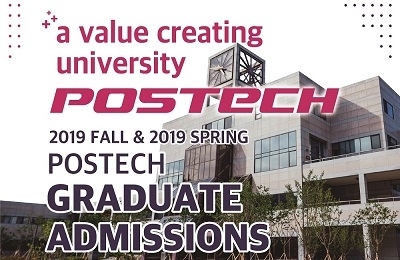 students who received a BS degree from POSTECH or new Ph.D. students who received an MS degree from POSTECH) can apply for credit transfers of graduate level courses that they have previously completed, if they have exceeded the minimum credit requirements for graduation. Please refer to the following for details. 1. Application Period : ..
POSTECH Commencement Ceremony for the 2014 Academic Year [Friday, February 13, 2015 (11 am), POSTECH Gymnasium] 1. Programs Commencement Ceremony (90 min.) Program Remarks Student Procession Line-up 10:00 - 10:45 (45) -Gymnasium hallway in front of clubrooms -Guided by Academic Affairs staff Student Procession 10:45 - 10:55 (10) Marching order: Department flag bearers→ PhDs→ Masters→ Bachelors * Students should be seated at the appropriate section designated for each degree -Emcee: Sung-jun Jung & Jung-eun Lim -POSTECH Or..